This deck is based on my very popular Arena 4-6 deck, but everything has been modified to fit with Arena 2 players. We only use cards from Arena 2 and lower in this deck, and even when only using these cards we are still able to make a really good deck. If I was going to climb from Arena 2 to Arena 4 or 5 right now, this is definitely the deck I would be using. I even play this deck in Arena 7 every now and then, and the win rate is high. If you decide to try out the deck I’d love to hear how you’re doing. I’m sure there are way to improve the deck, but this is the best Arena 2 deck I’ve come up with after around 1,000 or so Clash Royale games. We do have 3 epic cards in this deck, and I know many new players do not have all these epics yet. When putting together the deck I chose the best possible cards from Arena 2 and lower. However, there are lots of options for replacements, I have suggested replacements for all cards here. Prince is and has always been an awesome card. In my original version of the deck, this place was taken by the Hog Rider, that is a arena 4 card however, so in this version we will use the Prince. The Prince is the first real tower killing card most players get access to, and you can use this card all the way up to Legendary Arena. What is nice with the Prince is that you can even defend with it in emergencies. Usually you’ll use it to kill one of their crown towers when they are low on elixir however. Instead of Tesla we will use Bomb Tower in this version of the deck. In this version of the deck the Bomb Tower works really well due to elixir costs and combinations with other troops. 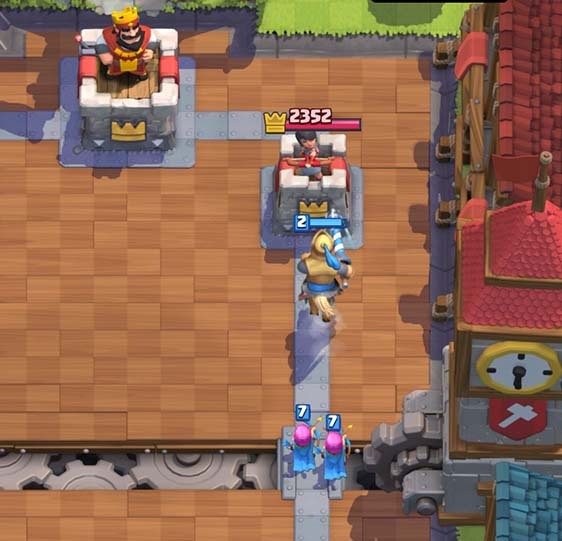 The Bomb Tower has a ton of HP, and even if it can’t shoot down flying troops it will still distract them while your other towers take them down. You’ll place this in the middle of the area in front of your king so it can cover both lanes. The Baby Dragon is one of my favourite cards and is an important part of this deck as well. The Baby Dragon made #1 on my recent post about the Top 10 cards of Clash Royale. The reason this card is awesome is because it is both flying and deals splash damage, which makes it awesome at taking out enemy barbarians and minion hordes. It can also do decent damage hitting the enemy tower solo. Archers fit really well here in this deck. They keep the average elixir cost of the deck down and are really useful in taking out opponent’s flying troops. Archers are mostly used in defence, say you drop them when your opponent has locked focus on your towers to take them out. Archers can also be used in offence however, if they are hiding behind your Knight, Prince or Baby Dragon. This deck doesn’t use arrows, so a fireball is really needed then. You use this to take out minion horde, goblin barrel and other annoying cards. Both Arrows and Zap work really well as replacements. Arrows is obviously a good replacement id you don’t have Fireball. Lately I’ve become really fond of using lightning to take out enemy witches, musketeers and wizards. You do this when they are just next to their crown tower to make it a profitable play. Lighting is also a great counter to X-Bow and building/zoo decks. The Knight is a great card for value. For only 3 elixir you get a fairly strong tank that does a lot of damage. The knight is versatile, often you will use it to soak up damage while your troops and towers takes out enemy troops that are attacking you. If can fill the same role in offence, tanking the damage from the towers while your other troops take it out. These guys are in most of my decks, I actually ranked these #3 for all time best cards of Clash Royale. They are cheap and decent at taking out enemy flying units. I also often use them to distract enemy tower killing troops until I can deal with them. Everyone always asks about replacements, so here are my suggestions for replacements. For replacements I only use Arena 2 and lower cards. If you are have access to higher cards, you could take a look at the Arena 4 and above version of the guide. Prince can be replaced by Giant. 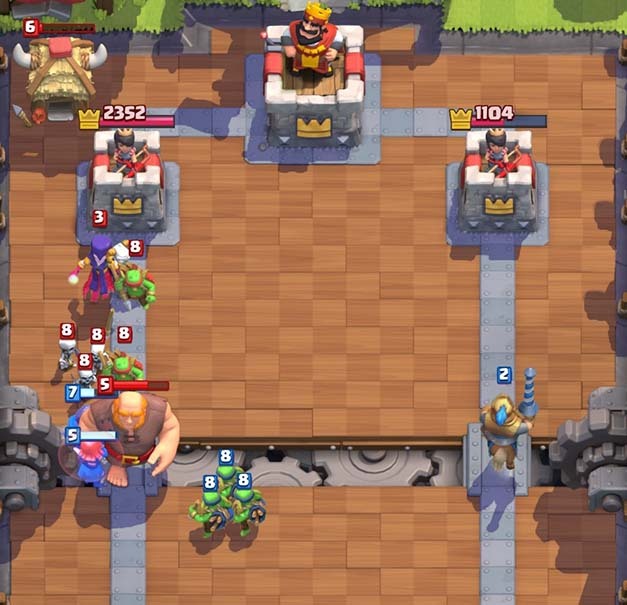 Bomb Tower can be replaced by Tombstone. Baby Dragon can be replaced by Witch. Spear Goblins can be replaced by Minions. Fireball can be replaced by Arrows. Archers can be replaced by by Minions. 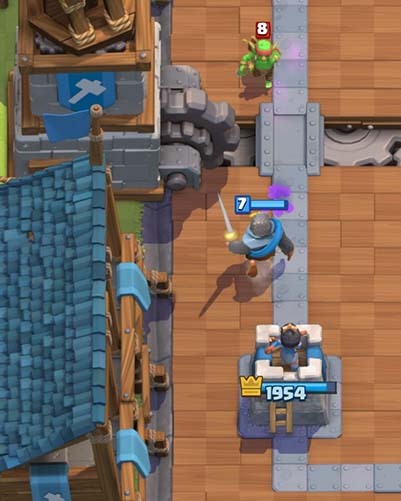 Knight can be replaced by Mini Pekka. My preferred option is to open with Spear Goblins behind one of my towers. Spear Goblins are cheap at only two elixir, and I will have almost all my elixir left to react to whatever my opponent is opening with. I place them behind my towers so that I can place tanker units in front of them before they reach the bridge. If I don’t have Spear Goblins in my opening hand I will go for the Bomb Tower. 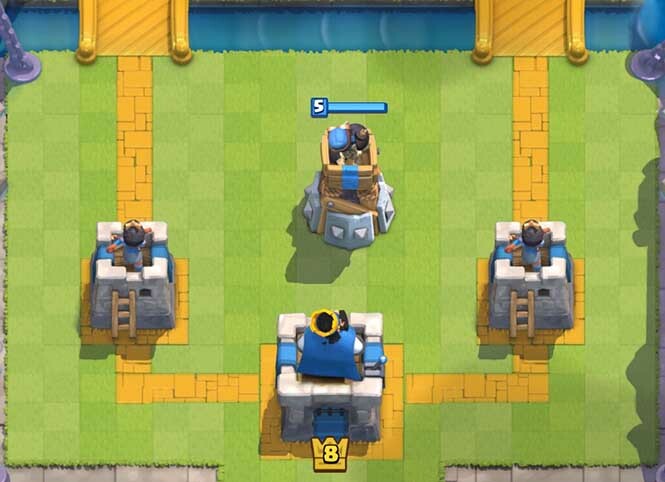 The Bomb Tower doesn’t hit air units however, so you want to place it so that your towers can hit flying troops that are attacking it. 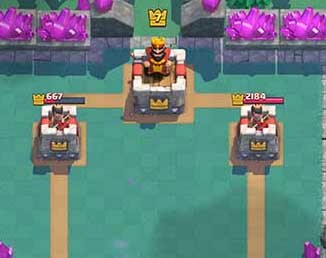 I will place the Bomb Tower in the middle of the space in front of my king, not too close to the river to prevent opponents flying or ranged troops from shooting at it from a distance. I want my crown towers to shoot at the enemy flying troops as they are hitting my Bomb Tower. The Bomb Tower is great at taking out swarms of small troops like goblins, archers, even barbarians. The third best opening for this deck is the baby dragon. The baby dragon is moving slowly and does well on it’s own even without support. It is very hard to counter the baby dragon and come out on top. My last choice of opening would be the Knight. The knight does well against most troops alone and can also do some damage to the enemy crown tower if he is not stopped. The combo with Archers or Spear Goblins behind him work really well. During the middle of the game the idea is to successfully counter your opponent and gain elixir advantage. Keep defending with Bomb Tower, Baby Dragon and Archers. 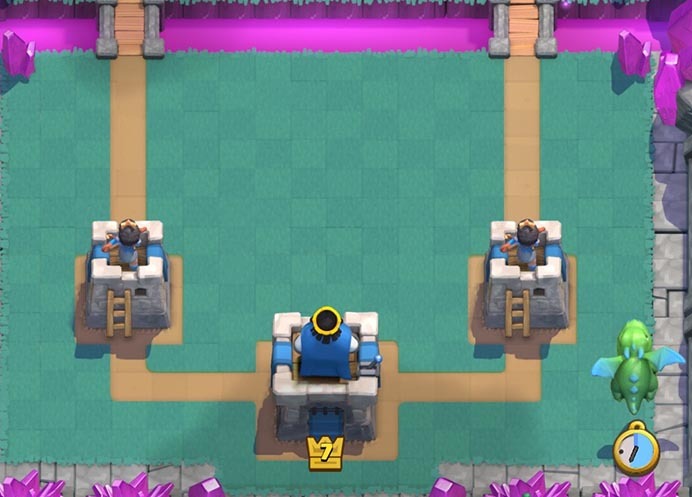 Make sure you place your Bomb Tower so that the annoying buildings like the X-Bow will hit it instead of your crown towers. 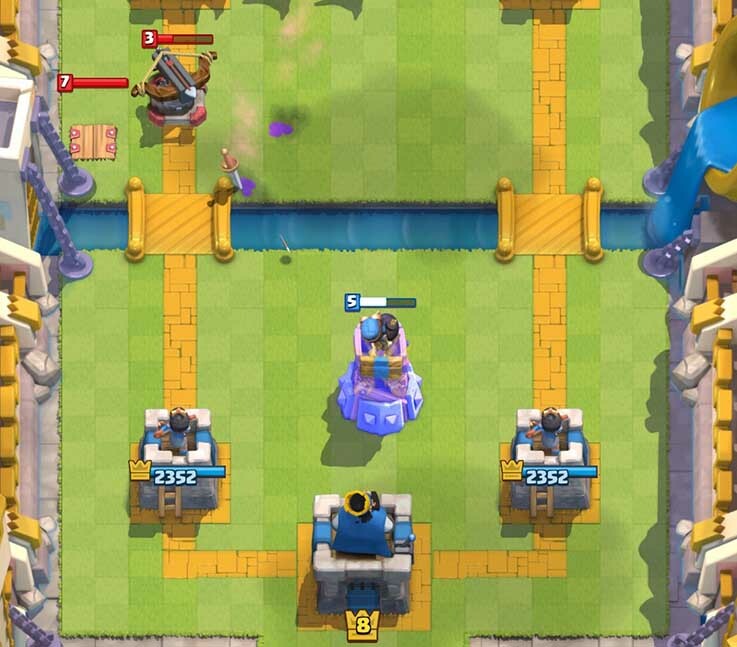 Once you have elixir advantage you want to make a push on one of his towers. Try to not be the one to push first, most games I’ve lost has been because I overcommitted in a push and got countered hard. The Prince backed up either by Archers or Spear Goblins is a very strong push when he is low on elixir. In the situation above my Prince and Archers completely destroyed this crown tower. The Prince will do so much damage if he is not dealt with quickly. You don’t necessarily need to kill any of the enemy towers during the mid game. What is important is that you cause more damage to one of your enemy towers than he causes to any of yours. In the situation above we have one enemy tower down to 667 HP which is a great spot to be in. Try to have a Bomb Tower up at all times, it makes it so much harder for your opponent to counter-attack. Most games are won by taking out one enemy tower while successfully defending your own. You do this by being patient and avoid making stupid mistakes. Hopefully you have brought one of the enemy towers down to 600 hp or lower during the midgame. If you have, you should focus almost all of your effort in defending at this point in the game. That means Bomb Towers, Baby Dragons, Archers and Spear Goblins. 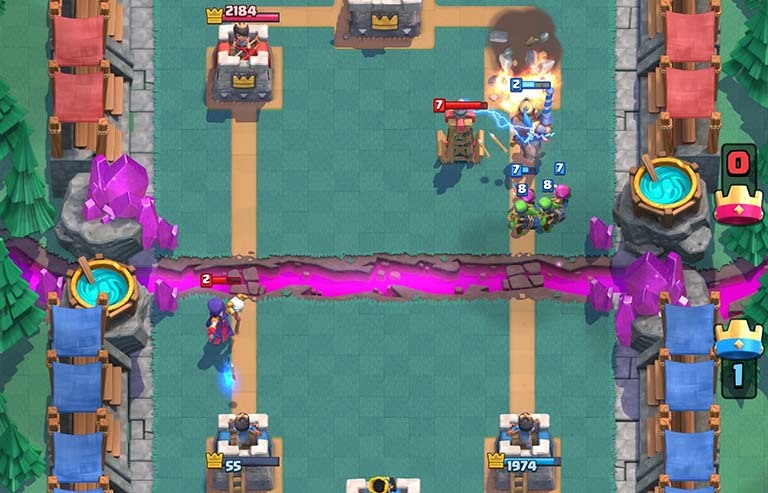 Whenever you’ve successfully stopped an enemy attack, try to get your opponent’s tower down to where your fireball or lightning can kill it in one hit. Then you can just defend and launch a fireball or lighting at the last second of normal time to take out the tower. I would say at least 20% of my victories come from taking out the enemy tower at the last second. If you on the other hand have a lot of hit points left on the enemy tower, or even worse, he has killed one of yours already, your gameplan changes a lot. In this case you have to take more risks. Often in this case I will go for attacks in both lanes. Elixir is increasing at double speed so players get more stressed and often miss defending the lane they are not currently focusing on. A general rule is that more behind you are in the game, the bigger risks you should take. In same cases you will ignore defending your tower or castle completely if you believe there is a chance you can take out the enemy tower before your tower is dead. Always be ready for the comeback. Even if you lose one of your crown towers early in the game, keep playing. There are so many times I’ve lost a tower early and yet come back to take the game. Many players play bad when they are ahead and think they will get an easy victory. Take advantage of this, turn the match around and win the game. This is a fun deck to play that doesn’t really have any extremely difficult math-ups. I would recommend this deck to any players that are struggling with climbing the rankings. I still use a modified version of this deck at Arena 7, and I’ve gotten comments from lots of players that also have success with this deck. Please let me know how it goes for you, and do leave a comment if you have any questions. I do try to reply to all comments as soon as I have the time. How do you get the epics from the first arena or two? I have over 800 points, but still dont have the prince, the dragon, or lightning. It works too, I prefer lightening but Goblin Barrel is good as well. It’s just a matter of luck with the chests you get. Yea, I don’t have any of those or witches. I can’t even substitute witches for baby dragons as I have neither. Exactly.. me too same . Bad luck.. i dont even have witch, baby dragon and prince. Only Skeltons.. have 700 trophies..
Good luck … and also, want helps advance, is having gems to buy chests / gold / oped chests faster. I won more games now, tnx so much! The lightning spell can be replaced by goblin barrels. 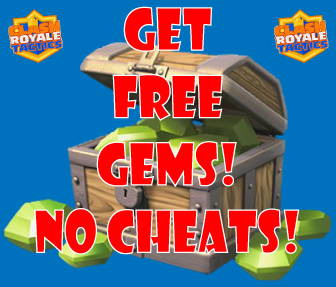 I got 100 000 free Clash Royale gems and you can get them too! Its at gemsroyale! What would you do if you don’t have the lightning? What would you replace it with?